GE13971 Triode Vacuum Tube from MPD Components. 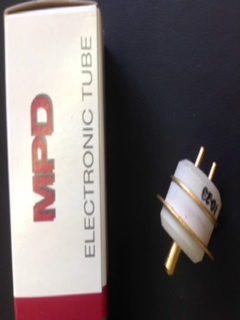 Currently available from Euro-Tech stock are these tubes from MPD Components. Description: Ceramic-metal planar triode intended as plate-pulsed oscillator or amplifier at frequencies up to 6000MHz. Supplied with full warranty. New, Unused. Tick if you wish to receive occasional mailings from Euro-Tech.